Thanks for visiting if this is your first time. Thanks for coming back again and again if you are a regular listener. For today's program, I had a whole list of songs to share with you. Well, that list will have to wait. I started spinning some of my LPs and just kept right on with that instead. 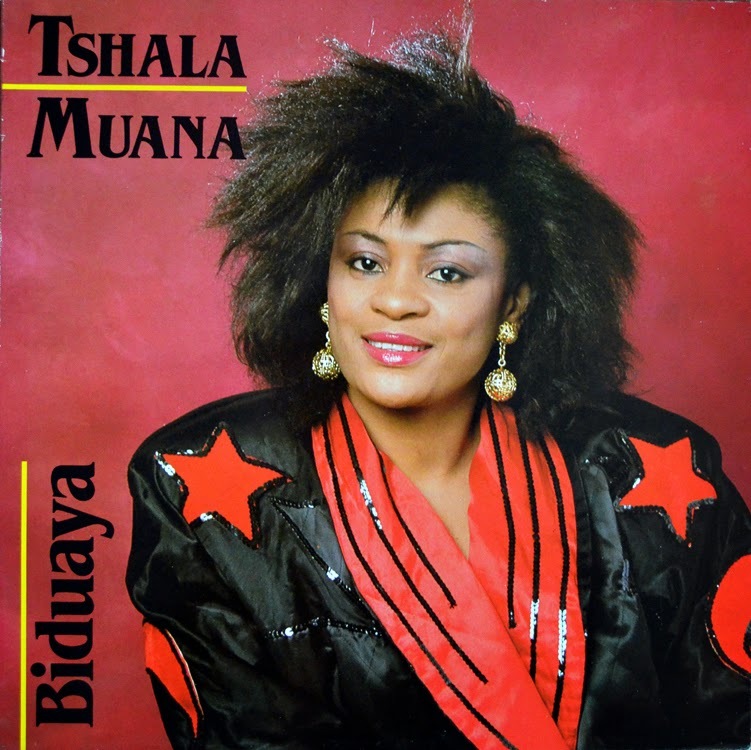 I love my old Congolese albums: the music, the sound, the cover art, the feel of the record in my hands. So I became carried away and just enjoyed myself. I hope that the joy spreads to you as well. I have some stellar songs here. Some are available on CD or digitally. A few are, to my knowledge, not available any more. One of those is the Orchestre Carte Blanche album played in the second half of the program. 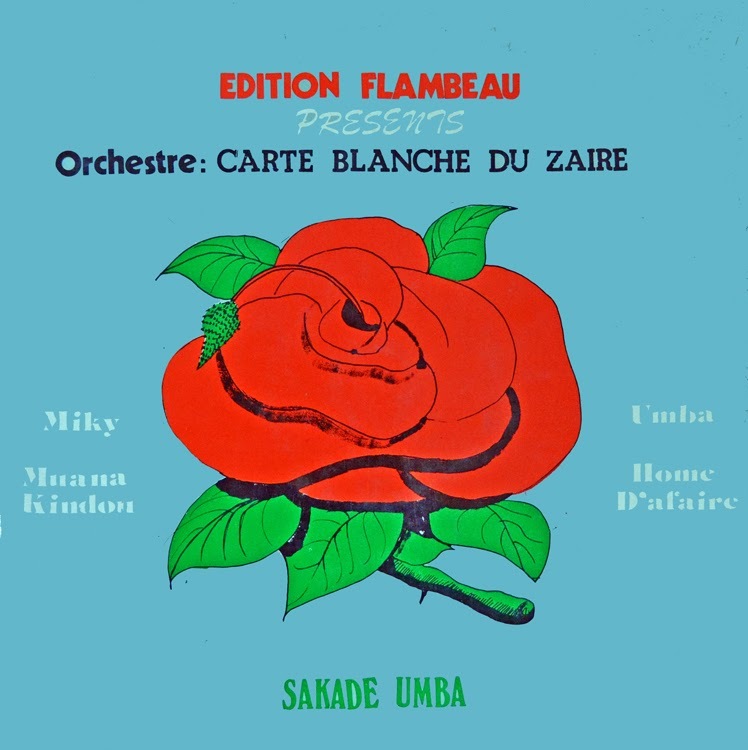 "Orchestre Carte Blanche" never actually existed! 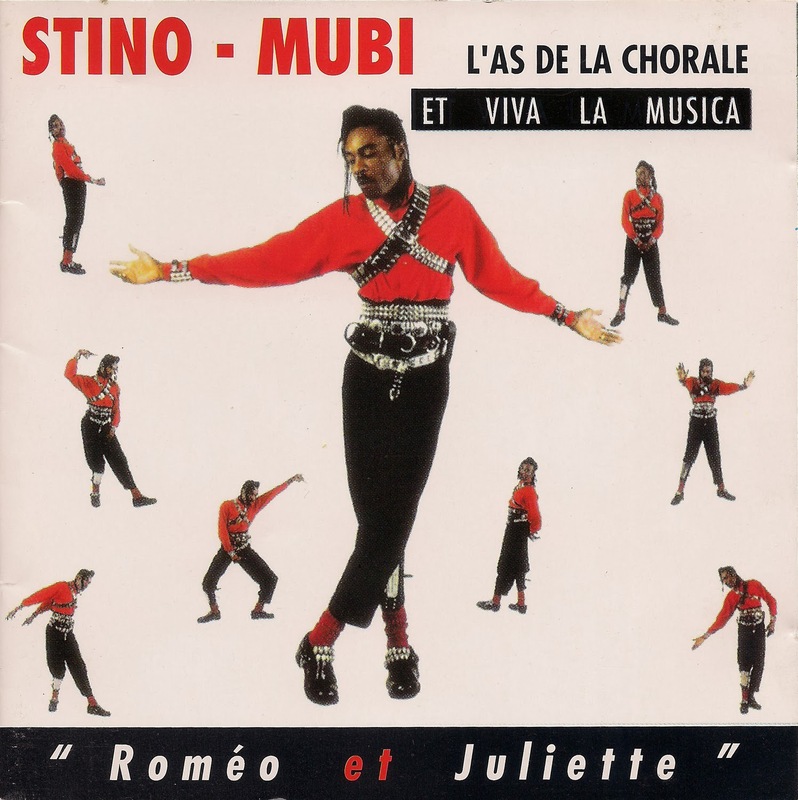 This is nzonzing by members of le Geant Orchestre Malebo or G.O. Malebo. The band made an album without the permission of the band leader and put a different name to it so as to not lose their positions. I'd like to thank guitarist Safro Mazangi for this information. I heard his name called out in the sebene and, as I've seen only one album by Carte Blanche, I asked him about the band. 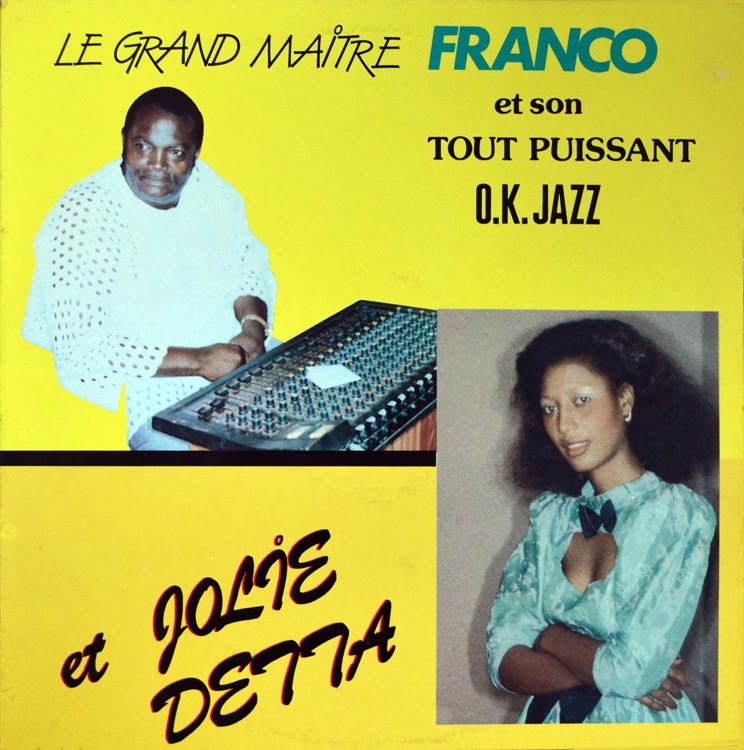 We also get to hear one of my very favorite songs, Jolie Detta with OK Jazz singing Massu from the only album she recorded with that illustrious ensemble. Enjoy! Requests and comments are always welcome! This link is good for two weeks from today. If you miss it and would like it or any other program to be reloaded, use the Ambiance Congo Requests link and let me know, please. The Ambiance Congo Audio Archives is back on line! Downloading the program now - can seen an excellent playlist ahead! Many thanks for sharing this wonderful music. Apurva from Pune, India. You are most welcome. Happy Holi! Thanks for the Alpatchino track, David. And thanks for the groovalicious vinyl-fest in part 2 - half a dozen absolute belters!